Glove History: Warrior Messiah M3 Catcher, Smith 6000 Retro Catcher, Reebok Larceny Pro, Simmons 997, CCM EFlex Pro Glove, Vaughn 5500I am going to start this with a disclaimer that when I was younger I was very anti-Vaughn. I grew up close to Simmons and young me never understood why anyone would pay so much money for Vaughn equipment when you could get just as good Simmons equipment for the same price. 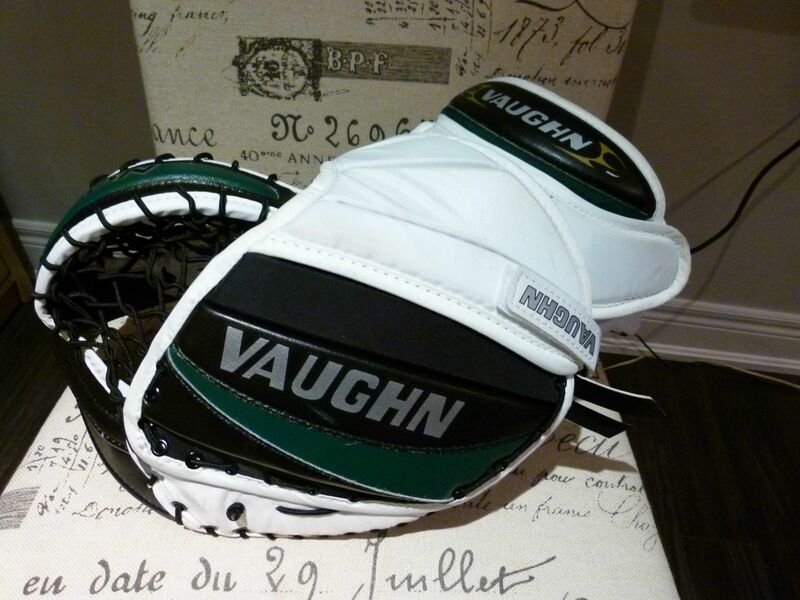 Since I never used Vaughn equipment before this I still had a bit of this biased. 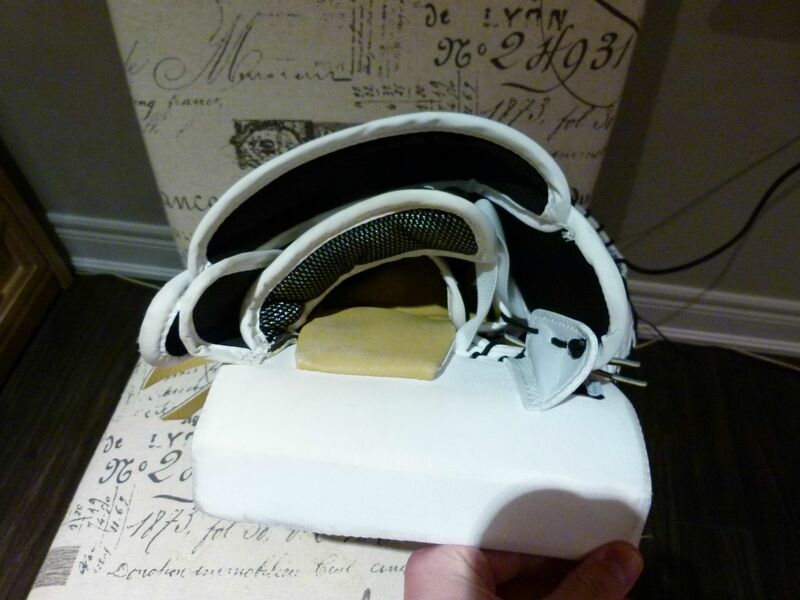 Initial Thoughts: Before I mentioned that the Simmons 997 glove I tried was the most broken in glove I have ever tried on in a store, when I received this glove it was easier to close than anything before (I have since found a Jacob Markstrom Warrior Ritual G2 that is ridiculous at The Goalie Crease). This glove felt pretty natural to close to me (something that I am pretty picky with is the break angle) and felt very light compared to my CCM Eflex Pro glove. The quality felt solid and extremely well made. The build quality on this glove is really high. 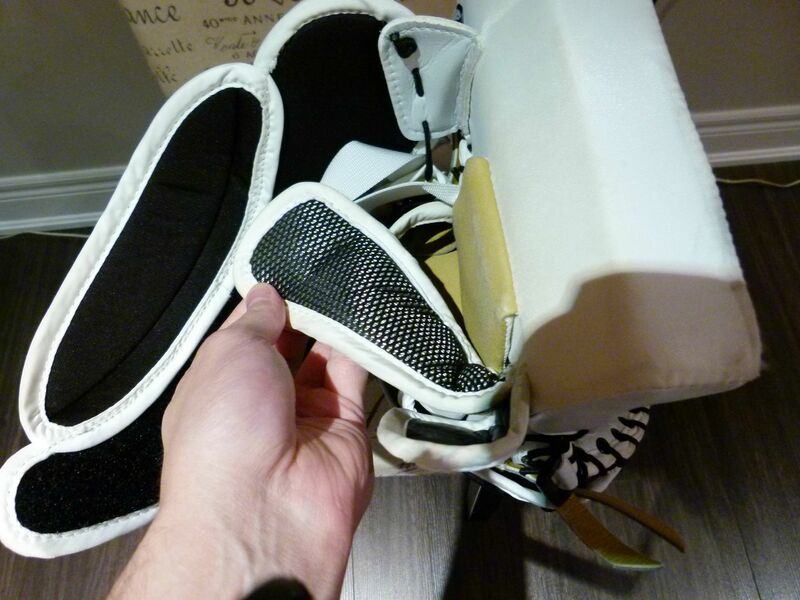 I would like there to be less nylon on the back hand and I wish it was softer with more padding for extra comfort. 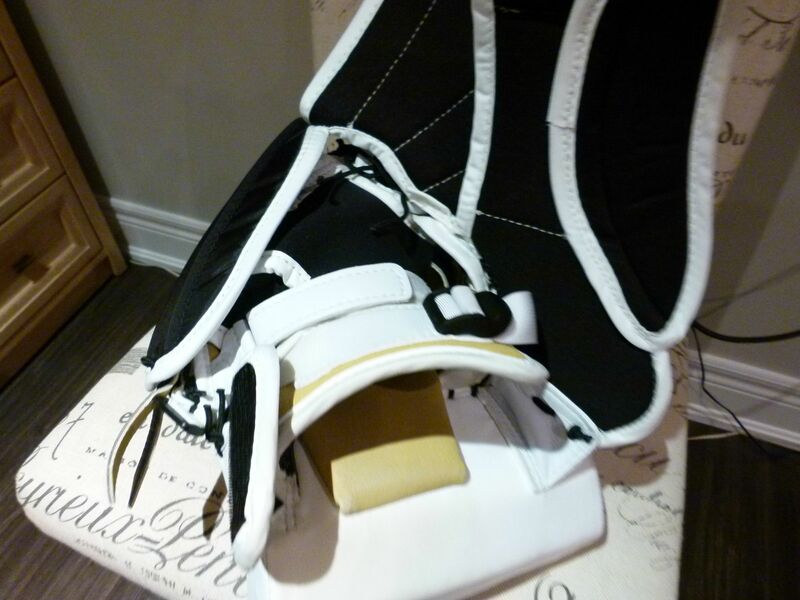 The leather used inside for the palm material feels coarse and uncomfortable compared to the 7600 blocker. I wish it had a thicker padded leather palm piece like on the Simmons 997. 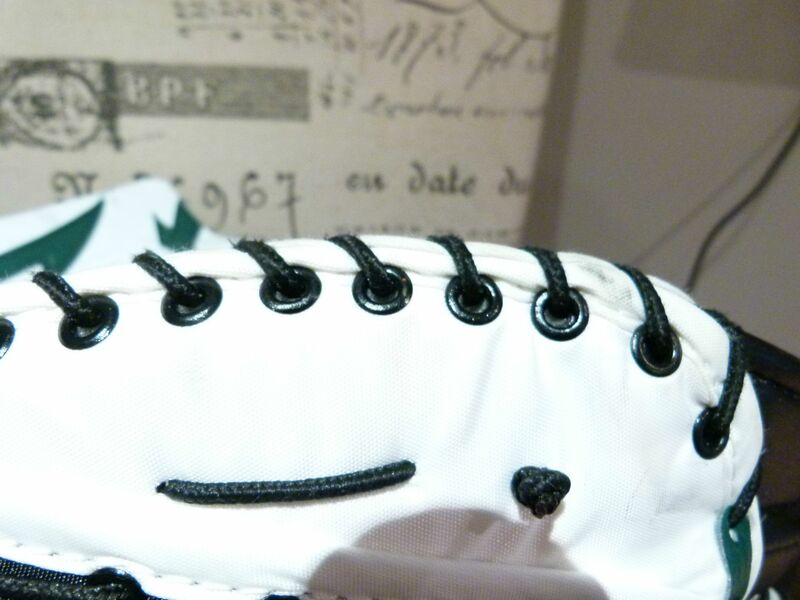 I really don’t understand why there is metal eyelets here. 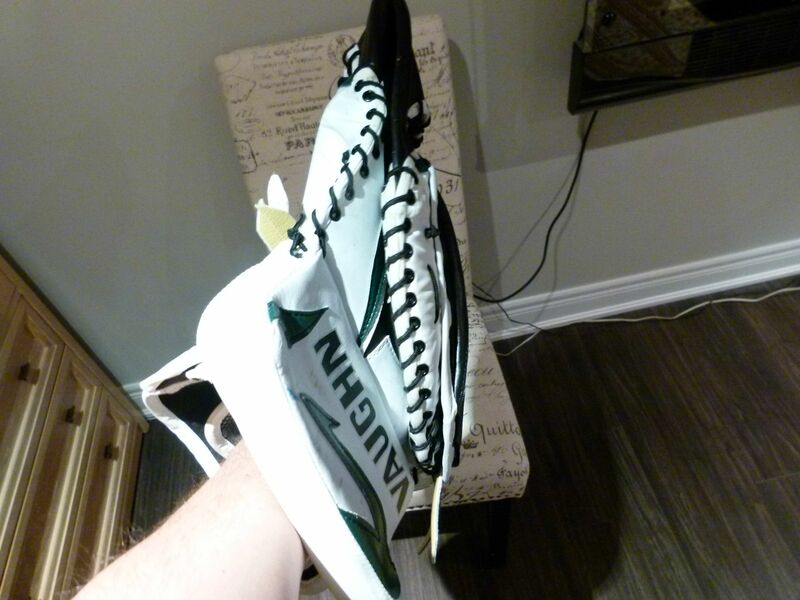 I can’t remember a modern glove that is constructed this way. 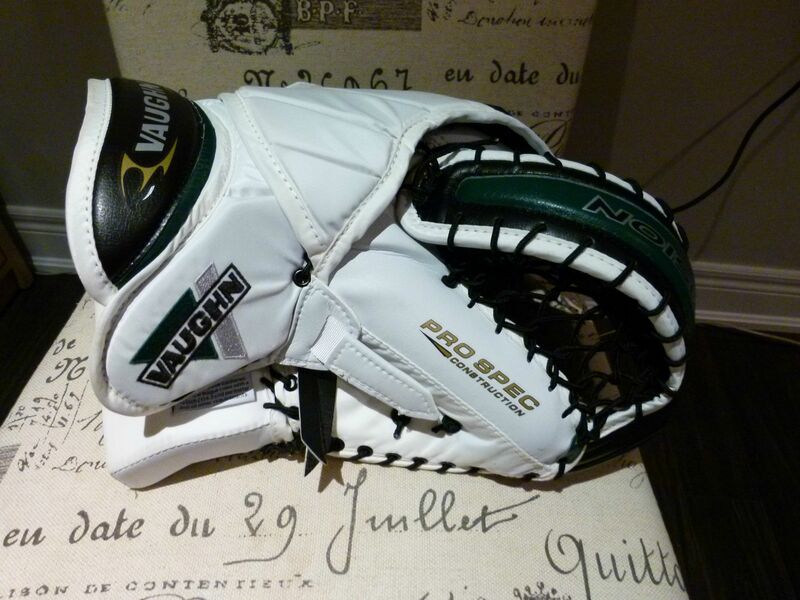 Closure out of the box was amazing and the break angle is why this glove worked so well for me performance wise. Internals don’t open up as much as I’d like and there is not much adjust-ability in this glove. This shiny material was really comfortable and was a nice addition to the soft and stretching black material that sits on top of the fingers.